Meizu confirmed to unveil a new smartphone on Dec 8th, that is tomorrow, the smartphone will be budget friendly with high-end specs and supposed to be a direct competition to the XIaomi Redmi 1S and Redmi Note. In an Interview with Chinese portal Zol, the VP of Meizu-Li Nan revealed about the next smartphone from Meizu will be revealed on Monday Dec 8th ( tomorrow), but he didn’t revealed any information about the phone, specs and the price tag. The rumor is that it will be a budget friendly as Li Nan quoted that this smartphone will be targeting the Young people as it is of high quality and he also said that the company has no plans in launching a mini series for its flagship smartphones Meizu Mx4 and Meizu Mx4 pro as they already have good specs which meet user’s requirements. well, Meizu launched its flagship killer smartphone Mx4 in September this year making a direct competiton for Xiaomi Mi4 and it proved to be the best competitor in china. In order to be in the competition Meizu launched Mx4 successor Mx4 pro last month and the pre-orders are more than 7 millions as of now. But we don’t think the next smartphone will be Mx4 pro successor or will be Mx series, it should be a budget friendly smartphone. 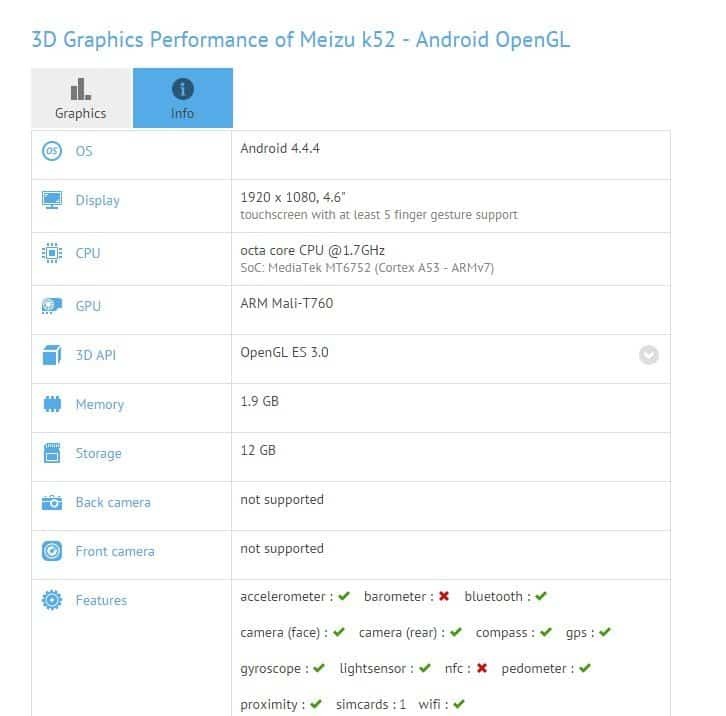 As per the benchmark of Meizu K52, this smartphone supposed to have a 4.6′ screen with 1080×1920 display resolution and runs on Android 4.4.4 KitKat ,sports a MediaTek MT6752 chipset with 1.7GHz Octa-core processor. The price may be around $160 (1000 Yuan). So it’s tomorrow then where we gonna see the next smartphone from Meizu and we will try to get the news about it asap.